Uranium Stocks Investment - Profitable or Not? Uranium Stocks Investment – Profitable or Not? Even with the destruction of the Fukushima nuclear power plant in Japan during the 2011 Tsunami and the subsequent discussion about closing down nuclear energy plants worldwide, the fact remains that global countries are searching for renewable energy sources. Nuclear energy is sustainable, economically feasible and when the waste is managed; environmentally friendly. Uranium stocks are highly undervalued, but uranium prices went from $10 per pound in 2003 to more than $130 a pound in 2007 and are now trading at $73 a pound. This price is set to skyrocket with an agreement between the U.S. and Russia that mandates the conversion of weapons grade uranium into useable fuel set to expire within two years. This will cause a strain on the uranium market. Further factors that will contribute to uranium stocks price rising is the flooding at one of the largest uranium mines in Australia which halted both uranium mining and production. Uranium mining companies in Australia and Canada predict that the spot prices of uranium will only go up with the demand increases from South Africa, China, the U.S. and Canada. It is also a possibility that Uranium Participation Corp who holds physical uranium stocks will manipulate the spot prices on the open market. Although uranium stocks are quietly trading, Cameco Corporation the world’s largest publicly traded uranium company has seen their stock prices steadily rising. Cameco stock price today is $22.95 a share up from yesterday’s price of $22.73 a share. Cameco is targeting an annual uranium production of 40 million pounds by 2018 which will drive uranium stock prices higher and increase the value of already held uranium stocks. Emerging market stocks like uranium are excellent investment options with Canadian and Australian stocks highly favored. Investing in uranium should also include uranium exploration and mining company stocks. Investors can find these undervalued stocks on the Australian Securities Exchange and the Toronto Stock Exchange. Stakeholders can also ease into the uranium market by exchange traded funds through the New York Stock Exchange. Look for Market Vectors Nuclear Energy Fund, nuclear energy stocks, and commodity trading lists. There are always risks with stocks and uranium stocks are no exception. Increased production of uranium has driven the current price down and supply risks from Niger and Kazakhstan is a concern causing volatility. Additionally, long term contracts between uranium suppliers and power companies present the risk of locking in uranium prices which will further lower stock prices. Even with these risks investment in uranium is a good option for a stock portfolio. Concerns over global warming and the worldwide oil supply pricing volatility have people looking again at nuclear energy which is the main user of uranium. In Georgia near Atlanta, two new reactors have received permits to build (the first in 30 years), there are 25 additional permits pending in the US and China has four reactors under construction. 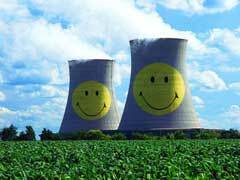 The United States has 104 operating nuclear reactors and each one is dependent on uranium. As the U.S. and the world move away from fossil fuels to address climate change, safe nuclear power is an important part of world energy policies. With that in mind, uranium stocks will continue to be a good investment for a stock, futures, and commodities portfolio. Chinese Steel Stocks - How Do They Perform In Today's Market? Silver Stocks To Buy - How They Stand Vs.Other Commodities? Commodity Trading - Is It Still Hot On A Stock Market?